We are back with BOOM ! With our Newest, Coolest, Most Awesome Kickstarter launch yet!!! What would you discover if you could hear the inaudible sounds in our planet’s atmosphere?! More than you would think! From far off explosions & avalanches, to tornadoes, rocket launches and more, our new Raspberry Pi home monitor shows it all! Introducing the RASPBERRY BOOM – Discover all this and more! Last year the Raspberry Shake 4D was a huge success, thanks to your support. This year we wanted to bring you something a little different and make this launch one to remember! The Raspberry Boom detects the “infra”, extremely low frequencies of sound (less than ~20 Hz, or the lower limit of what is audible to humans) from great distances all around your local region, that are completely imperceivable to your human ears. 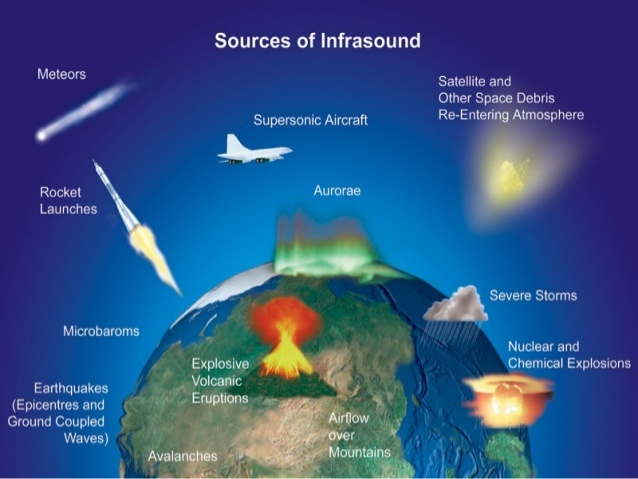 Infrasound sensors detect so many intriguing things happening all around you. Independently they can uncover so many mysteries, but together, using our Raspberry Shake connected network, they create an array that can potentially track and locate events. From incoming harsh weather, planes flying overhead, gun fire and nuclear testing, to volcanoes erupting on remote islands in the Pacific Ocean and meteors exploding over the Atlantic… See all these and more, and discover the untold secrets that are out there, with the Raspberry Boom! What would you like to discover on your Raspberry Boom? 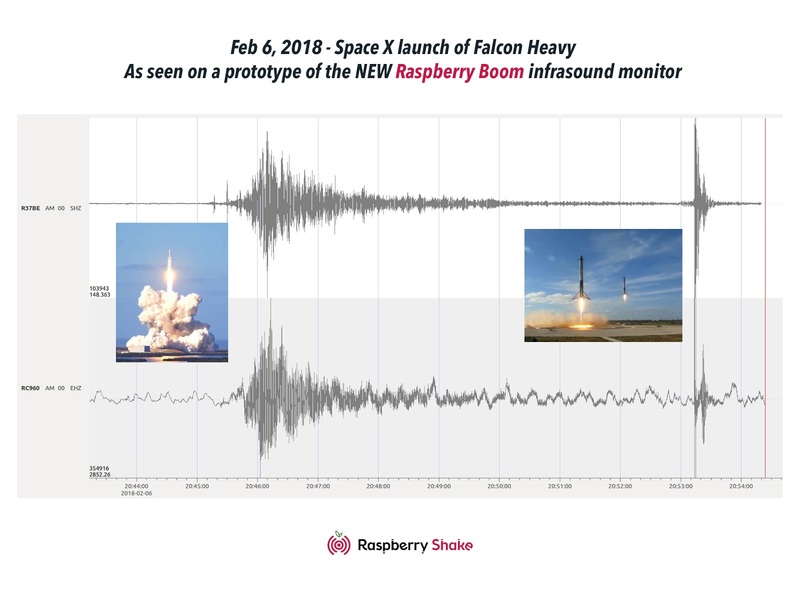 We are all SpaceX fans at Raspberry Shake and we couldn’t resist the opportunity to test one of our prototypes with the launch of Falcon Heavy. The Boom prototype recorded the launch and landing of the boosters perfectly! For the Kickstarter campaign itself, we will be sending a Raspberry Boom into the stratosphere on a HUGE solar balloon, one of our expert collaborators is creating. Up there we hope to capture some incredible infrasound results, and as a bonus adding to the excitement, we will also attempt to achieve a world record for the height of the flight! We will be launching the Raspberry Boom in the next 2 weeks on Kickstarter on March 22nd. Remember to put the date in your calendars to make sure you can take advantage of our incredible early bird discounts. It is because of all of you that we are able to keep creating and developing new projects which we hope you love. We are incredibly grateful to you all and once again we are asking for your help to make this campaign a success. Click here to enter into a competition for a chance to WIN a Raspberry Boom and please note the same link will redirect to our Kickstarter page once the campaign goes live on March 22nd.